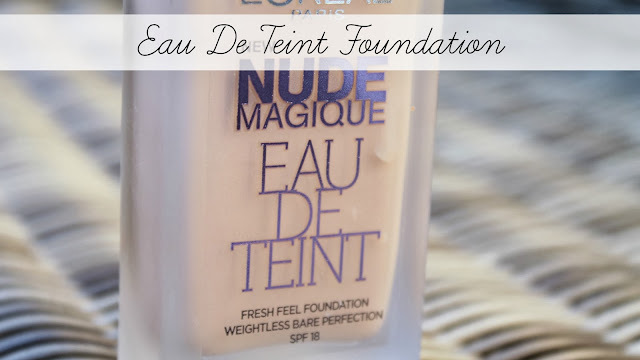 Honestly, this is such a lovely foundation. It's incredibly lightweight, you don't even know you're wearing it and you only need a small bit. Basically shake (with the lid on) then tip onto your index finger and apply. I find I only need about three goes to cover my whole face. Although it is very lightweight it gives really good, natural coverage. I'd say around medium which is what I like. It has a very matte finish which I wasn't expecting at all. It's all very very natural which I love. It's very long wearing as well and doesn't upset my oily skin. Overall I cannot rate this little drug store beauty enough. You do only get 20ml in a bottle, which is about 10ml less than the usual foundation. However you only have to use so little that I think it will last as long as any others. I've seen many reviews comparing it to Nars Sheer Glow, I've never tried this but always wanted to, now I don't really feel the need to as this is such a little gem. The packaging is so nice as well, I am a bit scared it will break as it is glass, and where it's a shake and tip one it's already so grubby but I don't really mind at all. I have wanted to try this since it was released in the USA. Its had mixed reviews but I think most of the negative ones are aimed at the packaging not having a pump.